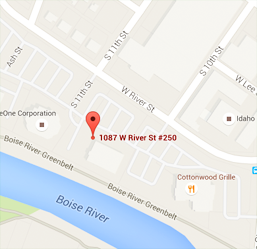 All meetings will be held at the offices of the Authority located in the Blue Heron Building, 1087 West River St., Suite 250, Boise Idaho. The Idaho Health Facilities Authority, through the Technical Assistance Program, provides subsidies to Idaho health care providers in need of consulting services. The Authority consists of seven members who are residents of the state and appointed by the Governor. The Authority was established by the Idaho Legislature in 1972 to issue bonds and notes for the purpose of improving health care for residents of this state by providing less expensive financing for health care facilities. The Idaho Health Facilities Authority mission is to assist eligible nonprofit health care providers to obtain and maintain access to low cost, tax-exempt private or public capital market financing. We are committed to our borrowers in helping them meet the challenges of financing facilities and equipment to improve the health and quality of life of the citizens of Idaho. The Idaho Health Facilities Authority takes reasonable measures to try to ensure the quality of data and information produced by the IHFA on this website. The IHFA makes no warranty of guarantee, and assumes no responsibility with regard to the accuracy, correctness, or the completeness for any purpose of any data or information available on or through this website. Users are cautioned that any conclusions that they may draw from these data are their own and are not attributed to the IHFA. © 2019 Idaho Health Facilities Authority. All Rights Reserved. Site by - A Boise Web Design Co.